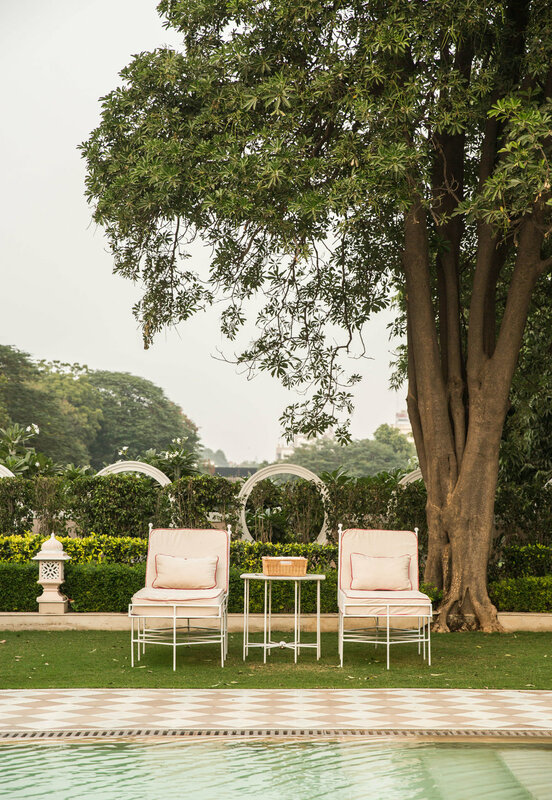 There's a huge sense of occasion checking in to Rajmahal Palace by SUJÁN Luxury. Pulling up the grand driveway you're greeted by an immaculately presented, pink-turban attired host with a beaming grin. 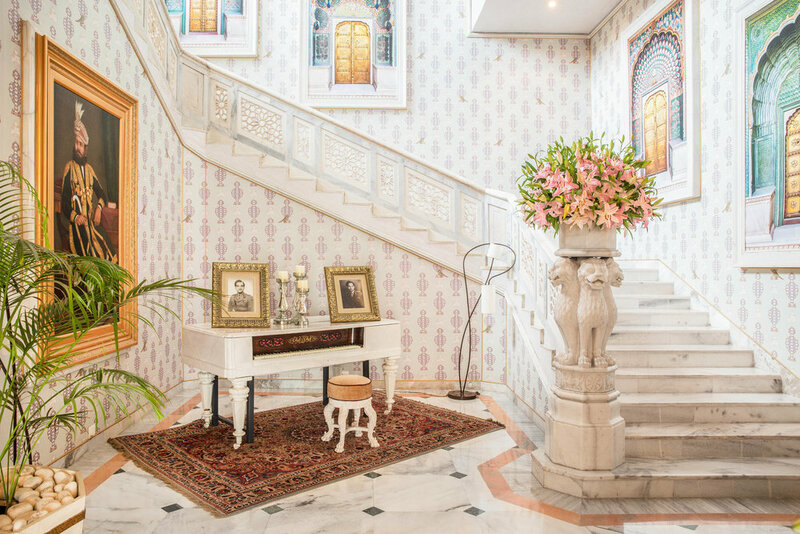 Alighting the steps beneath the porte cochere you're whisked across checkerboard tiles and seated in a salon befitting of royalty. 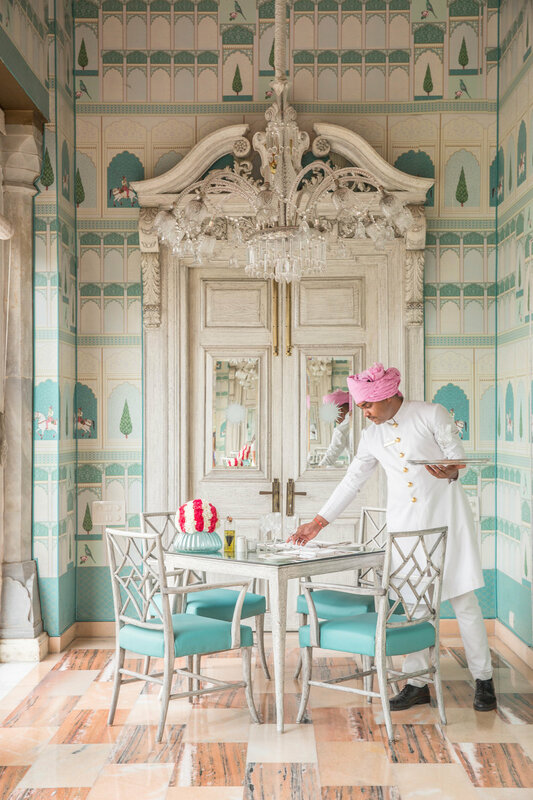 Built in 1729, Rajmahal Palace to this day is still owned by Jaipur Royals and underwent a painstaking restoration before reopening in 2015 with management by luxury hotel group SUJÁN. 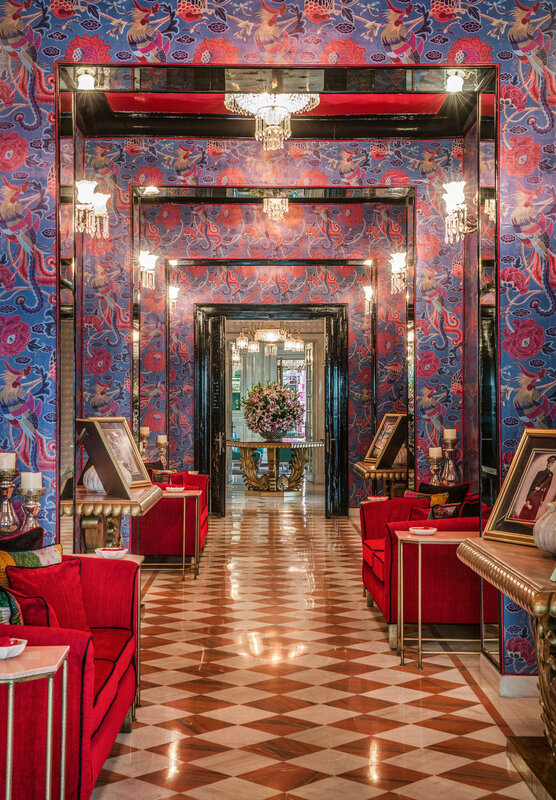 There are 14 rooms, each unique and adorned with original artwork, unique wallpaper, classic furnishings and vintage photographs. 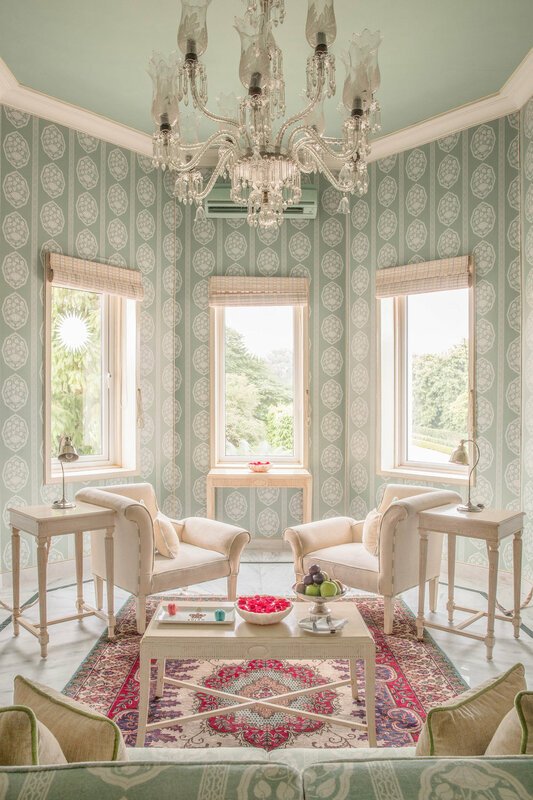 The Royal Suites are named after notable past guests (Jackie Kennedy, Mountbatten, Queen Elizabeth) and no detail is overlooked. Upon entering your suite you're greeted with an opulent dining room centred around a hanging chandelier. It's the perfect spot for room service breakfast whilst reading the paper in your thick cotton robe. Bedrooms are plush with silky sheets and fluffy pillows that come monogrammed for that royal touch and the bathrooms are clad in marble head to toe with double vanities and an oversized shower. 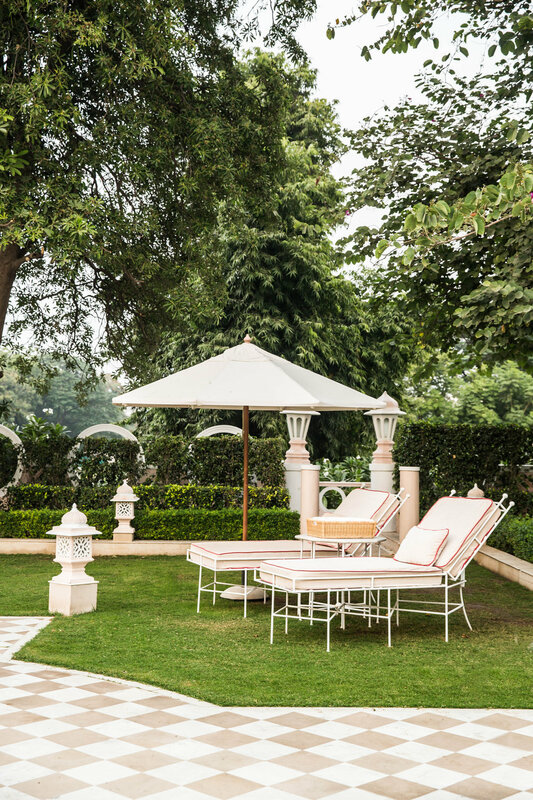 Set only a 15 minute walk away from Jaipur's walled city, the palace lies on palatial grounds that consist of perfectly manicured lawns, an outdoor dining patio and a charming pool. Strolling the gardens is positively peaceful, in stark contrast to the hustle and bustle that lies just outside the palace walls, with your only encounter a peacock or two. Despite not seeing another soul, there's a sense you're being watched, because when you glance around in the hope of ordering a cup of tea, staff magically appear on demand. The hotel's 24 hour restaurant The Colonnade serves up comfort style food in an elegant room with an abundance of light. This restaurant is great for lunch and if you're a not an in-house guest bookings must be made in advance. Breakfast is served in 51 Shades of Pink, which not-surprisingly is a pink room with mirrored walls. Eggs and porridge are perfectly cooked and service is flawless with staff accommodating and charming. 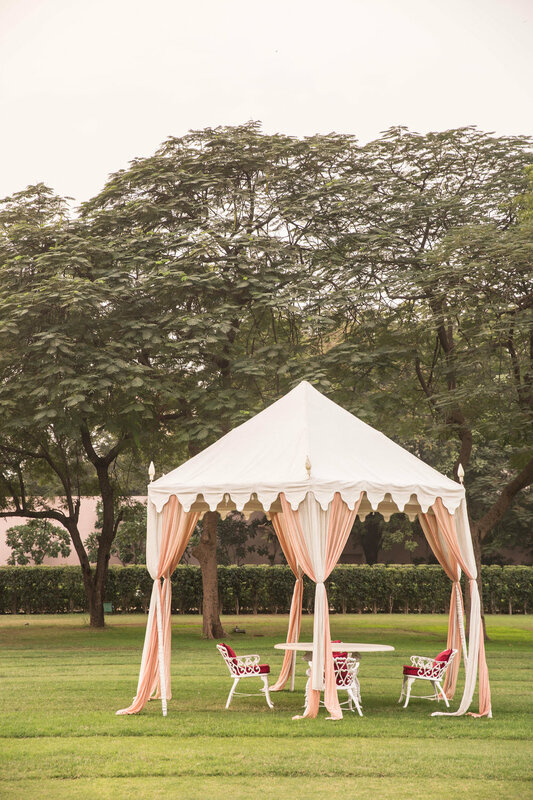 For an evening tipple head to the Polo Bar which shows off the royal families countless achievements, medals and trophies on the polo field; a sport which Jaipur is still famed for today. 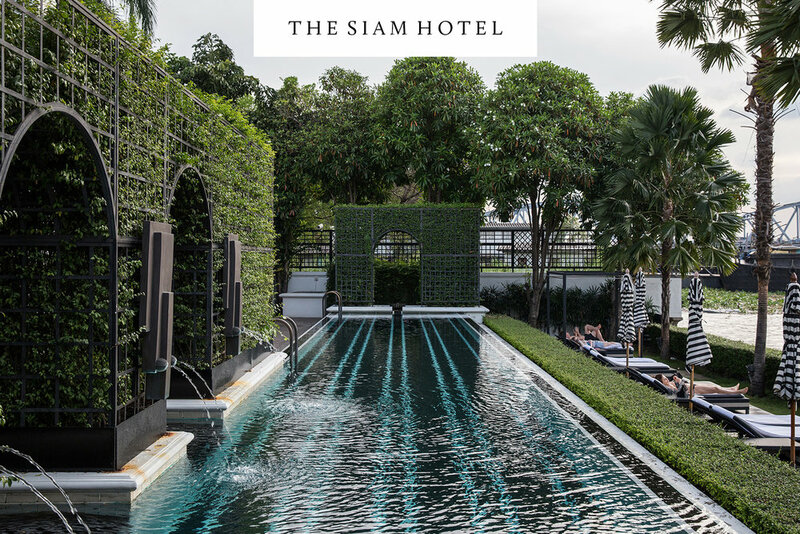 It's brilliant to unwind in a palace hotel where it's history remains integral to it's design and story. And after finishing a refreshing G&T it seems quite fitting to retire to the Queen Elizabeth 11 Suite, perhaps just as she did. ROOM PICK: Any, but we love the Royal Suites. 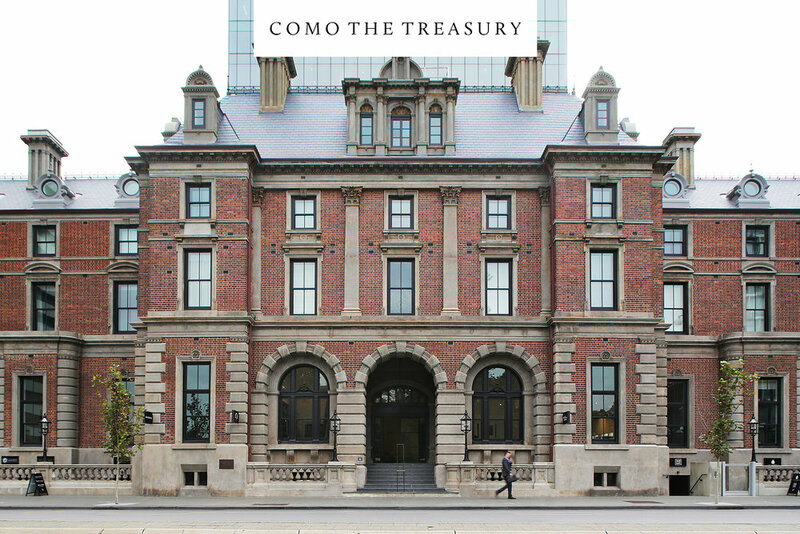 FEEL: A scene from a Wes Anderson film. CHILDREN: Welcome but the hotel is better suited to couples. RATES: Starting at $675 AUD. POOL/GYM/SPA: There's a full service spa and pool. TURN DOWN SERVICE: Yes with bottled water. The writer was a guest of Rajmahal Palace.